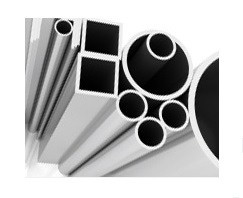 Stainless steel pipes are used in applications involving corrosive fluids, high temperatures and high contaminant levels due of the great corrosion resistance of stainless steel. Industries in which stainless steel pipes are popular include the oil/gas, pulp and paper, and water/wastewater industries. Stainless steel pipe is another common term for stainless tubing. All piping is typically distinguished by standardized values, rather than actual measurements, that identify the outside diameter and wall thickness of the pipe. Piping is used mainly for the transmission of water or gas and used almost exclusively in the plumbing and pipefitting industries, whereas tubes are more diverse in their implementation. The use of stainless steel in the production of pipes is widespread due to the advantageous properties of stainless steel, the most common material used in the manufacturing of piping. Stainless steel provides excellent corrosion resistance, is easy to clean, requires low maintenance, and is cost-effective in the long run. Even though stainless steel may require a higher initial cost than other metals, maintenance and replacement costs are lower. Stainless steel is cheaper than titanium, a metal commonly used in applications similar to stainless steel, including those in the medical field. Stainless Steel Pipe A stainless steel pipe is a long tube made of stainless steel that is used to carry water, oil, gas, or other materials.